A fast paced, simultaneous play, pattern matching game. 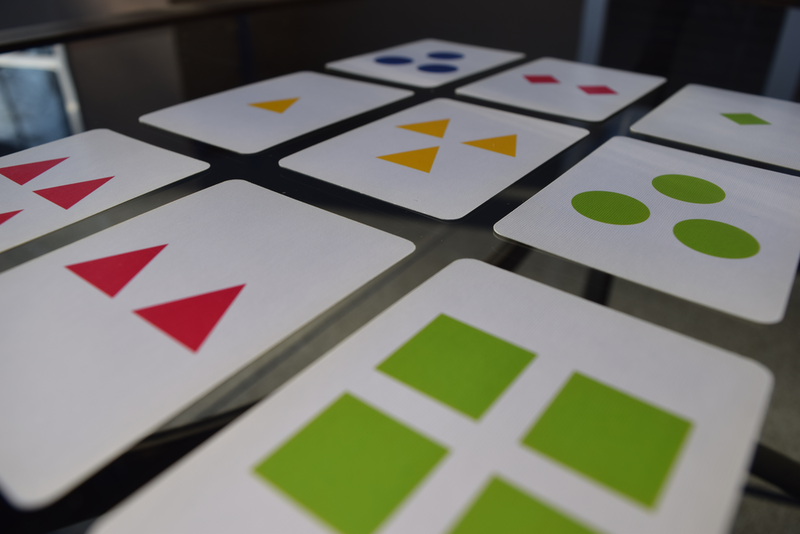 The deck contains 64 cards, each with 3 features (colour, shape, and number), each with 4 possible values. 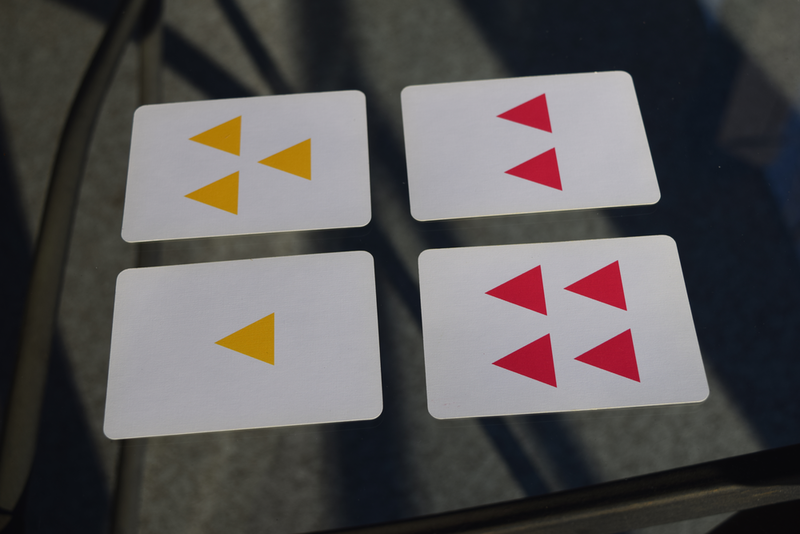 Be the first to spot groups of 4 cards, or Taus, where in each feature, the 4 cards are either all different, all the same, or two of one value, and two of another value.